Pete Docter brought back another great animation to the 68th Cannes Film Festival and before the big screen inside the Grand Theatre Lumiere threw out Pixar’s logo last night—fans outside the theatre kept screaming while Pete Docter pulled funny faces on the red carpet. For this year, Pete Doctor’s ‘Inside Out’ does not only give more hope to the world of animation films with another great reception at the Cannes, it has actually become the festival’s most talk about movie over night—and the presentation of what goes on ‘inside’ alongside the ‘outside’ of a young girl could not have been brilliantly done beyond what was achieved. 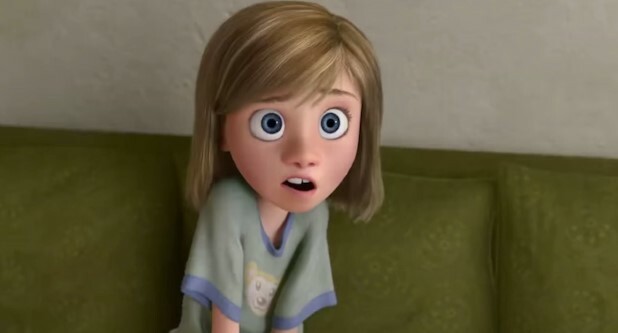 Director- Pete Docter starts ‘Inside Out’ with the birth of a baby girl-Riley but the deeper meaning is; that scene was the beginning of consciousness which sets forth the journey of how this baby was going to develop the needed human personalities. Before baby Riley could give out her first smile to the outside world, Pete Docter took us ‘Inside’ where a yellow sprite called Joy (voiced by Amy Poehler) popped out, and pressed a single button on a polished stand. With the button pressed, Riley giggled and her eyes opened—to the full excitement of her parents who held her in their hands. Now that Riley has arrived, the story begun to develop with viewers being constantly shuffled from the ‘Outside’ where Riley, her parents and every other person lived—to the ‘Inside’ where the headquarters of the various emotions that determined Riley’s behaviour ‘Outside’ was stationed. In this headquarters were Joy, Sadness (Phyllis Smith), Disgust (Mindy Kaling), Fear (Bill Hader) and Anger (Lewis Black) who were in charge of guiding the ‘Outside’ decisions and behaviour of Riley. While Joy was concerned with ensuring that Riley was a happy child all the time, Sadness occasionally jumped in to ruin Riley’s emotion—with Fear, Anger and Disgust also stepping in when Joy was not paying attention. Soon, Riley was 11 and had built many interesting island personalities, such as honesty but this begun to break apart when together with her family, Riley relocated from rural Minnesota to San Francisco. As expected, her first day in school was disastrous—an attempt by Joy inside the headquarters to fix this emotional crisis and return Riley to being happy made things worse. Accidentally, Joy was ejected from Headquarters along with Sadness, and the core memories of Riley. The absence of Joy and Sadness in Riley’s headquarters meant that, Anger, Fear and Disgust were in charge—causing more havoc. The film builds on Joy and Sadness’ effort to get back into the headquarters after having collected those ejected core memories—a long journey through the mind’s darkest corners – Imagination, Long-Term Memory, Abstract Thought, Dream Productions and the caves of the Subconscious. 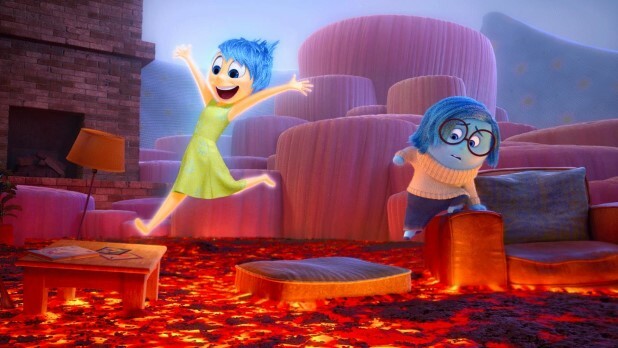 While Riley (Outside) remained confused, angry and thereby destroyed all the island personalities she had built, in an attempt to escape the current crisis she found herself in at San Francisco and return to Minnesota in search for happiness, Joy (Inside) trekked many miles and jumped many obstacles to make her way back to headquarters and restore the ejected core memories—and more importantly, bring ‘happiness’ back to Riley at San Francisco. 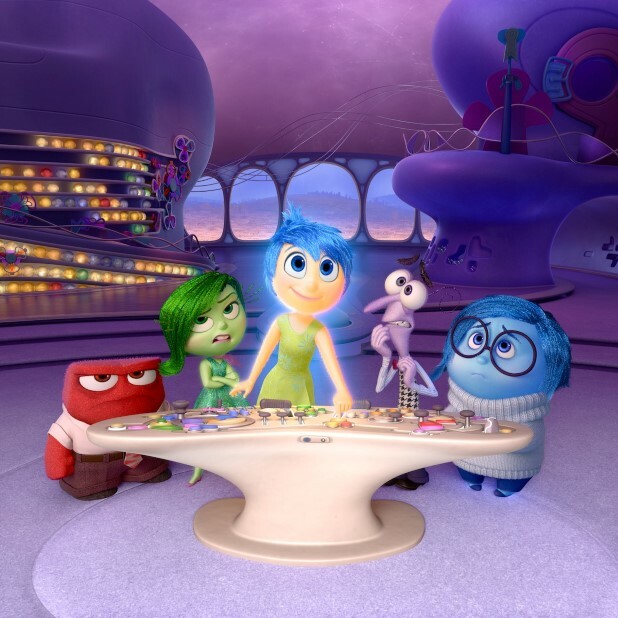 ‘Inside Out’ is about Riley but it’s certainly Joy from the headquarters who plays that true heroine, fighting and breaking all barriers to ensure that Riley remained happy. Eventually, Joy realised that it was not totally possible to isolate Sadness from Riley’s life—but in fact, Sadness was important to fixing the Riley crisis. The film shows that human beings are controlled by certain pockets of voices we hear and even if we try to be happy all the time, it’s impossible to achieve this. The strength of the film lies in its brilliant presentation. Though it revolves around a back and forth transportation of the viewer from the real world into the mind where the headquarters is situated, two distinct styles of animation are employed so that the viewer does not get confused.